So you’ve got an iPad in your bag and a Yammer window open behind this one. That doesn’t mean that your business is leveraging tech the best it can. Here’s how. To say technologists and business managers haven’t been sitting at the same table discussing business plans and objectives is a bit of a misstatement. The disconnect that leads to gaps in business intent and technology execution often happens when these stakeholders leave the table. Technophiles will interpret the directives and desires of their business counterparts through their lens, and independently make modiﬁcations. Why? 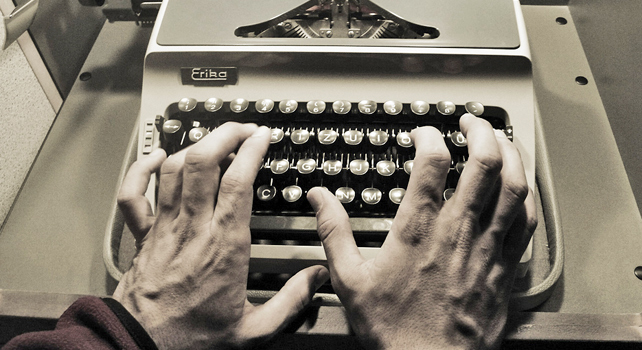 Most technophiles believe they know technology better than their line of business managers. Thinking like that leads to systems that are suited best for the designers and not the users. These outcomes threaten to marginalize technology’s role in value creation at the very time that it should be brought closer to the business than ever before. What appears at ﬁrst blush to be the fault of the technologist (‘‘Can’t you make this stuff work?’’) is really an organization’s failure to unify business and technology decision-making managers. It is not the invention of a new technology that matters so much as it is its application–understanding its role when developing a strategy or designing an organization or its processes. As much as enterprises need a plan and strategic direction in developing and deploying technology, they also need a common language that’s bound by common objectives. For many enterprises or operations, alignment of business technology with the business has been considered the Holy Grail. Alignment can be deﬁned as a state where technology supports and enables but does not constrain the organization’s current and evolving business strategies. It means that the technology function is in tune with the business thinking about competition, emerging threats, and opportunities, as well as the business technology implications of each. Technology priorities, investments, and capabilities are internally consistent with business priorities, investments, and capabilities. When this is the case, then the organization has reached a level of business technology management maturity that relatively few have achieved to date. Alignment is a good thing, and is sometimes sufﬁcient to serve a particular business situation. But there are higher states to consider and for some enterprises, synchronization–technology and business initiatives progressing in parallel–of technology with the business is the right goal. At this level, business technology not only enables execution of current business strategy but also anticipates and helps shape future business models and strategy. Business technology leadership, thinking, and investments may actually step out ahead of the business (that is, beyond what is ‘‘aligned’’ with today’s business). The purpose is to seed new opportunities and encourage farsighted executive vision about technology’s leverage on future business opportunities. Yet the business and technology are synchronized in that the requisite capabilities will be in place when it is time to select the most appropriate strategic option. Finally, there is the state of convergence, which assumes both alignment and synchronization, with technology and business leadership able to operate simultaneously in both spaces. Essentially, the business and technology spaces have merged in both strategic and tactical senses. A single leadership team operates across both spaces with individual leaders directly involved with orchestrating actions in either space. Some activities may remain pure business and some pure technology, but most activities intertwine business and technology in such a manner that the two become indistinguishable. Convergence often begins at the top, with the CEO and the board, where the organization’s overall strategy is set. Is it to be lean? To be agile? Or both? Is it to protect a position in existing markets or to explore new ones? Each of these broad goals requires a different technology deployment, and the technology must be part of the planning. It is in such planning, and in the information generated to inform it, that organizations can create the unique business model and processes most likely to deliver success. Poor utilization of technology and bad investment-related decisions made in regard to technology can make or break a project, if not a company–all because of poorly deﬁned objectives, management oversight, and lack of situational awareness. Consider the following ﬁrst steps when reviewing the management practices of business and technology initiatives in your company. Using business technology to accelerate operational performance requires informed decision-making to determine which investments best support an organization’s strategic mission and as a result, improve its overall ﬁnancial performance. The following ﬁve steps detail how to analyze and shift investments among technology portfolios to strike a balance between those that deliver stability and those that support agility. Step 2: Determine how both business and technology investments are handled in your company’s strategic planning and budgeting activities. To what extent do investment levels across operating units reﬂect the role that business technology actually serves in enabling strategic positions? To what extent do investment levels across staff or support units reﬂect the role business technology serves in enabling these units to accomplish their mission? Are the baselines for such analyses founded on historical trends, industry benchmarks or carefully selected (that is, strategically and operationally comparable) peer groups? Step 3: Assess the existence and maturity of business/technology management capabilities across the enterprise. Which technology capabilities–given the role that business technology serves in enabling your ﬁrm’s strategic posture–must be maintained at world-class levels? Has sufﬁcient investment in business/technology management capabilities occurred at an enterprise level and within each business unit? Step 4: Evaluate your enterprise’s organizational synchronization. Are your business strategy and strategic position well communicated and clearly understood across the organization? Are your enterprise’s business strategies reﬂective of exploitative strategic actions, exploratory strategic actions or both? What roles do your business/technology investments play in enabling these strategic actions? Step 5: Develop an appropriate mix of the kinds of business technologies needed to advance your ﬁrm’s strategic agenda. Technology–and investments in new technology–will become a signiﬁcant tool for the enterprise’s executive team. 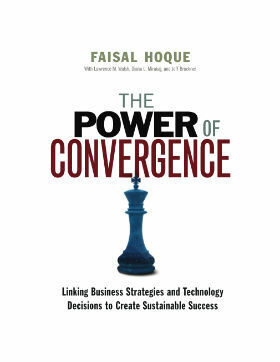 Reprinted by permission of the author, from The Power of Convergence: Linking Business Strategies and Technology Decisions to Create Sustainable Success (published by AMACOM). Copyright (c) 2011 by Faisal Hoque. All rights reserved. Follow the author on twitter @faisal_hoque.